Savary to Lochulsge. 12 Miles. 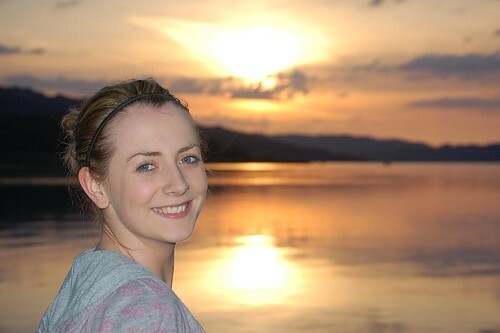 I had to drive first thing in the morning to take Emma to Corran ferry so that she could catch the bus back to Glasgow. So we got up at 6.30 and after I saw her safely on the bus I headed back past Lochaline to begin my walk. Unfortunately there was no way I could devise a way to take me along the coast where it looked like there were a couple of rough paths. The walk plus any cycle ride back would be too far to do. So I resorted to walking along past the castle at Ardtonish on Loch Aline and then following the main road through Gleann Geall north towards Strontian. The weather was once again superb and the sun was even hotter than previous days. On the way there my right arm got burned a little because I had forgotten to slap on the factor 50 – fortunately I had some in my rucksack and was able to protect it from further sunburn. It was strange not having Emma to meet me at the end of the walk and have our customary 2 cafetieres of coffe at the White House restaurant in Lochaline. I realise that the mist difficult part of this walk is the psychological motivation to keep going. Although I feel weather beaten and have blisters from wearing my sandals instead of shoes today; the physical discomforts usually pass with a good night’s sleep. I dont know if I can face doing a week’s walk on my own anymore. I realise Ive cut back from walking 5 days to only 4 now. I set myself a target of 50 miles walking a week (and usually that means 50 miles cycling back too). Ive already reached that this week, but Im losing motivation quickll. I need to give myself a good talking to or Im going to make excuses soon…. By the Way Emma, if you read this thank you SO much for helping me out. This entry was posted on Thursday, May 8th, 2008 at 11:49 am and is filed under life, photography, Scotland, trail, Travel, trek, Uncategorized, walk. You can follow any responses to this entry through the RSS 2.0 feed. You can leave a response, or trackback from your own site. One Response to Savary to Lochulsge. 12 Miles.